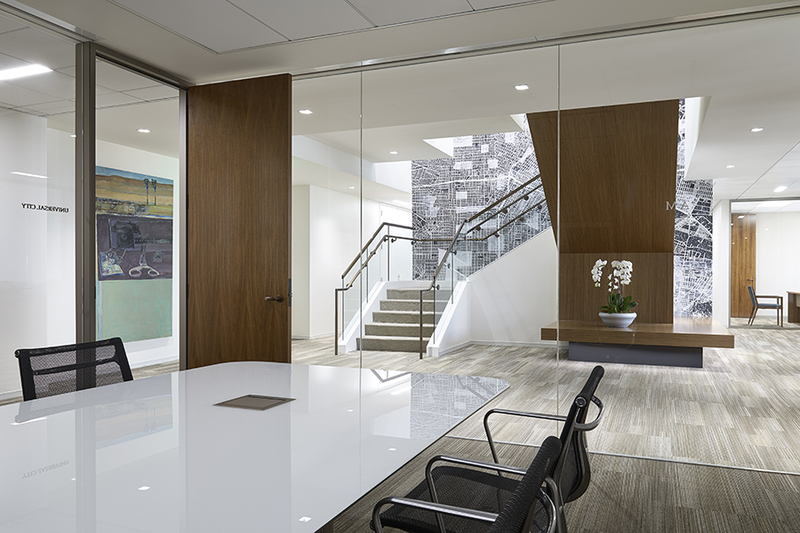 Allen Matkins is a premier California-based law firm specializing in real estate, litigation, labor, tax and business law with more than 200 attorneys throughout Southern California. 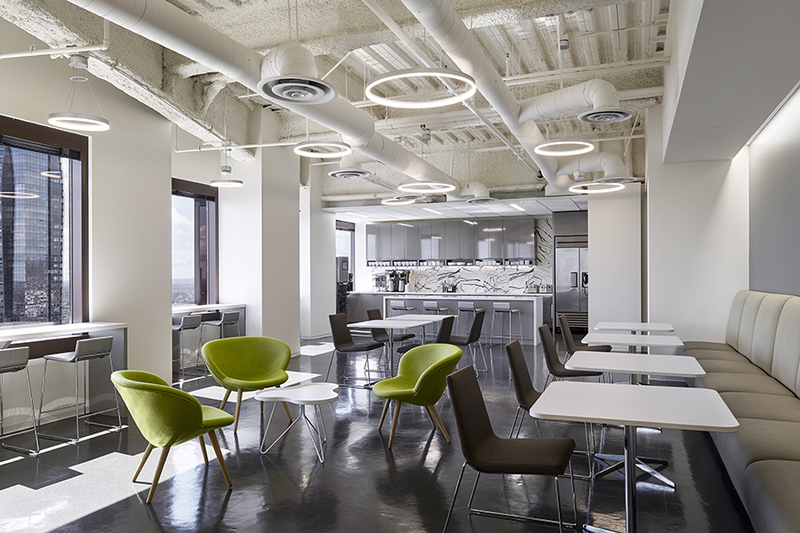 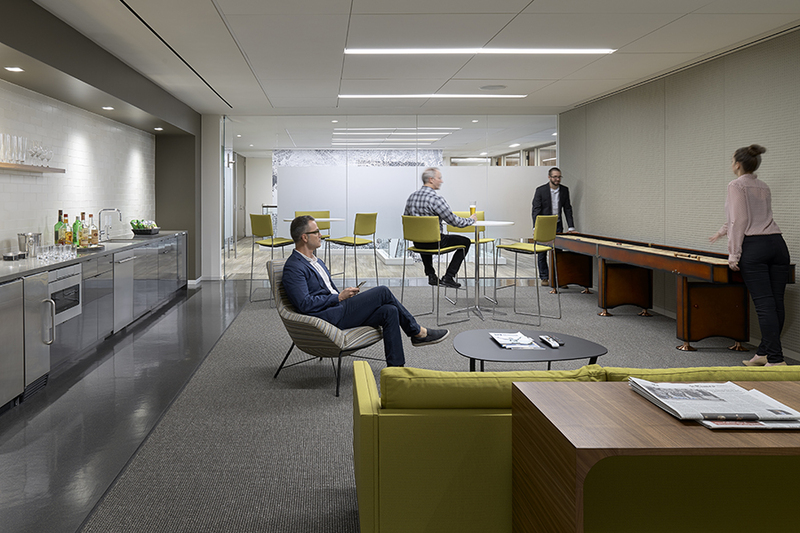 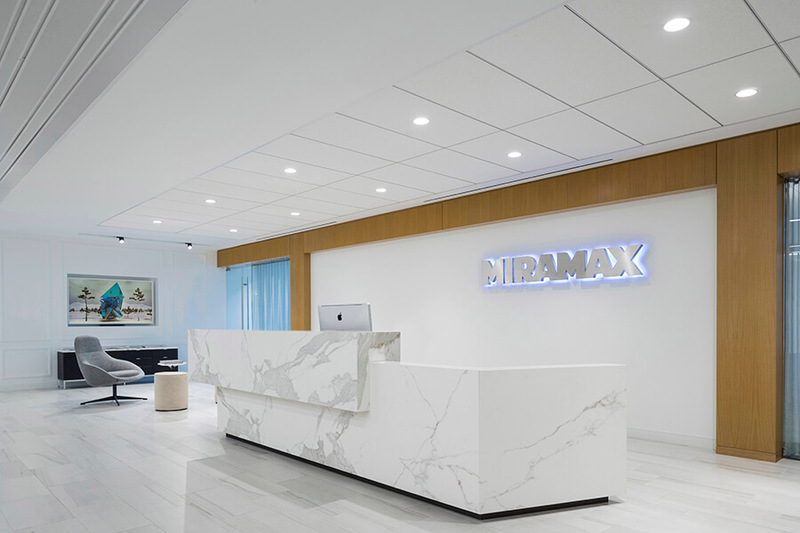 When they relocated their downtown Los Angeles office to 865 South Figueroa, Allen Matkins required a refined space that resonated with and welcomed their esteemed clientele, while providing comfort and confidentiality. 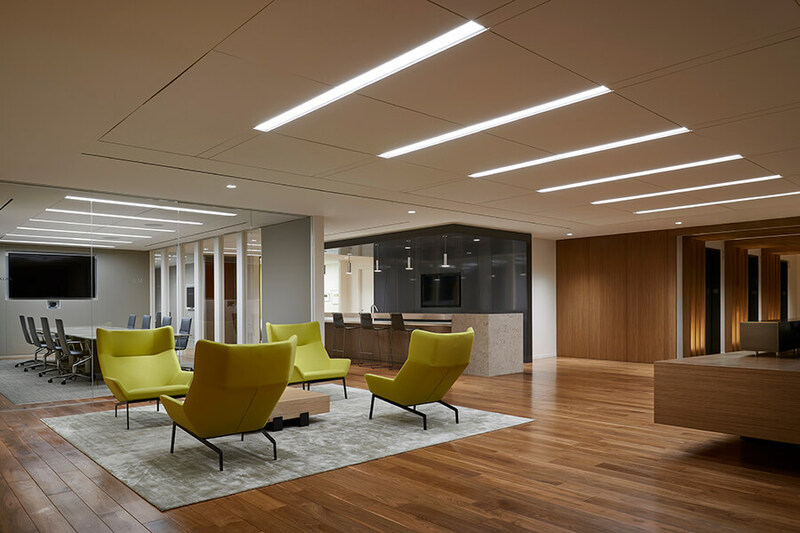 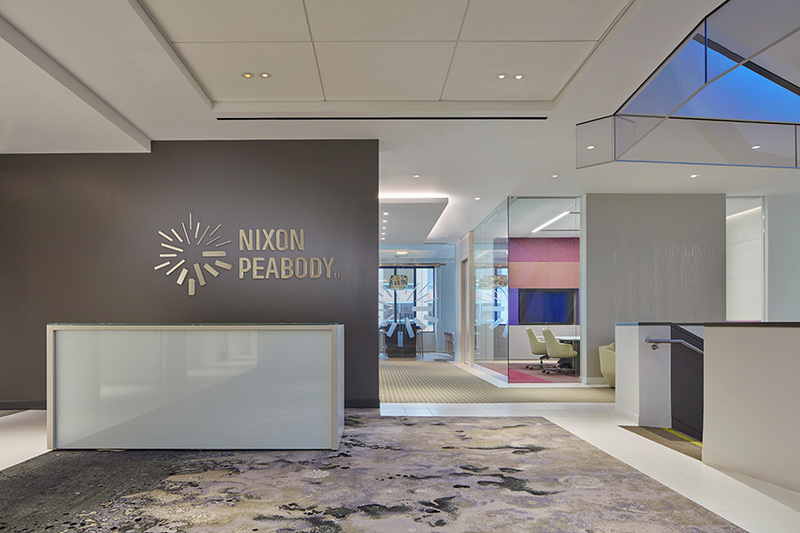 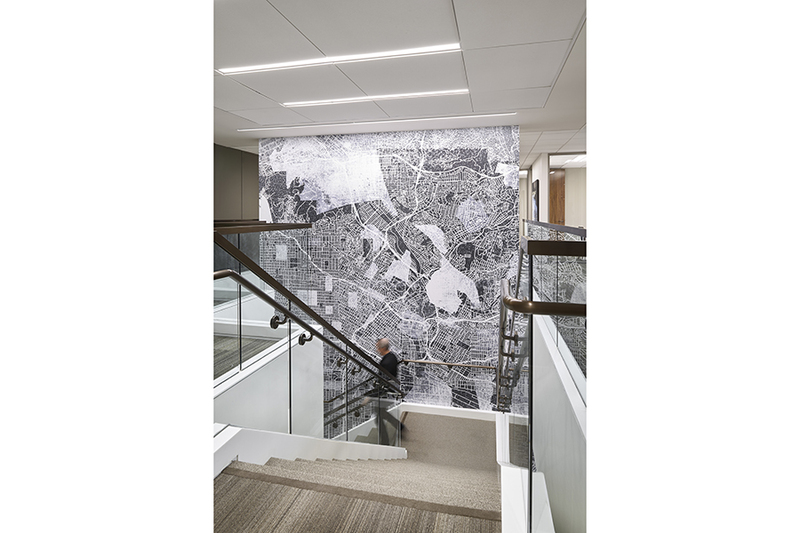 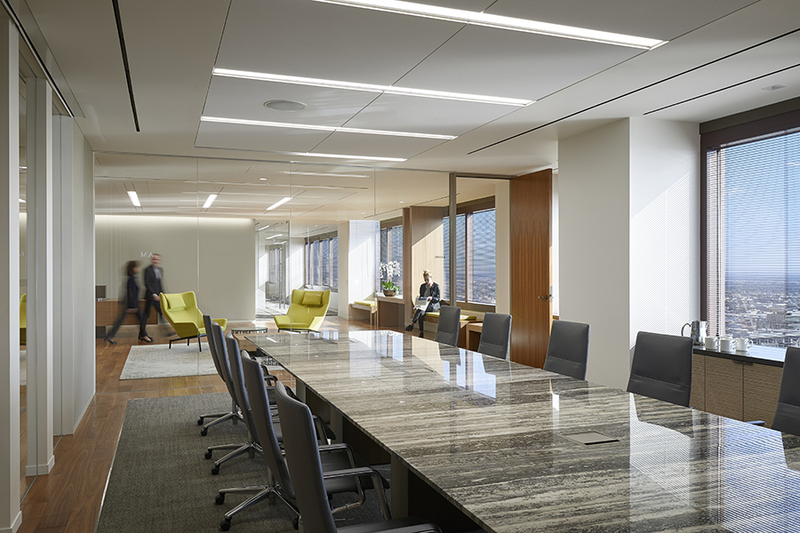 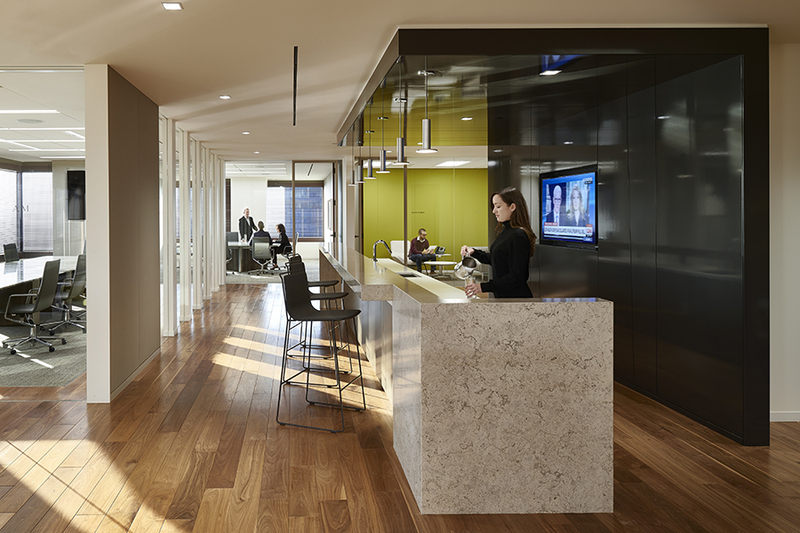 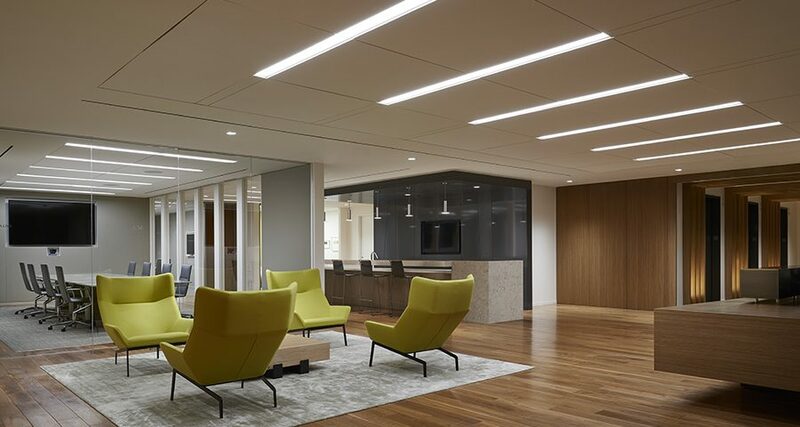 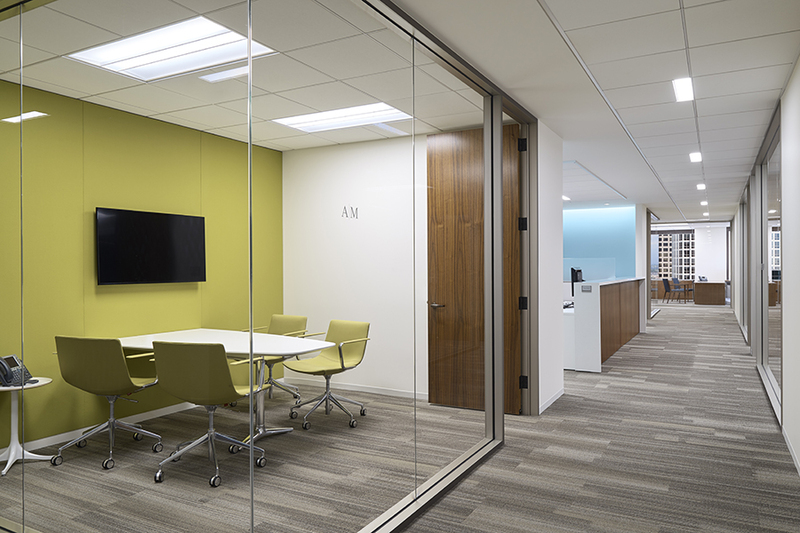 Under the design direction of Gensler, ECC built out the stunning 2½ floor office space to include a spacious staff / attorney lounge, private conferencing rooms with video conferencing capabilities, enhanced restroom facilities with two showers, and multipurpose rooms incorporating Skyfold technology. 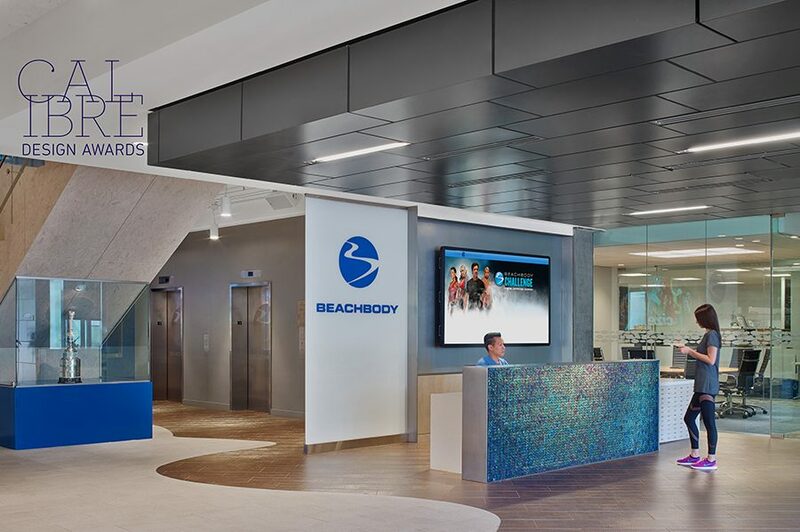 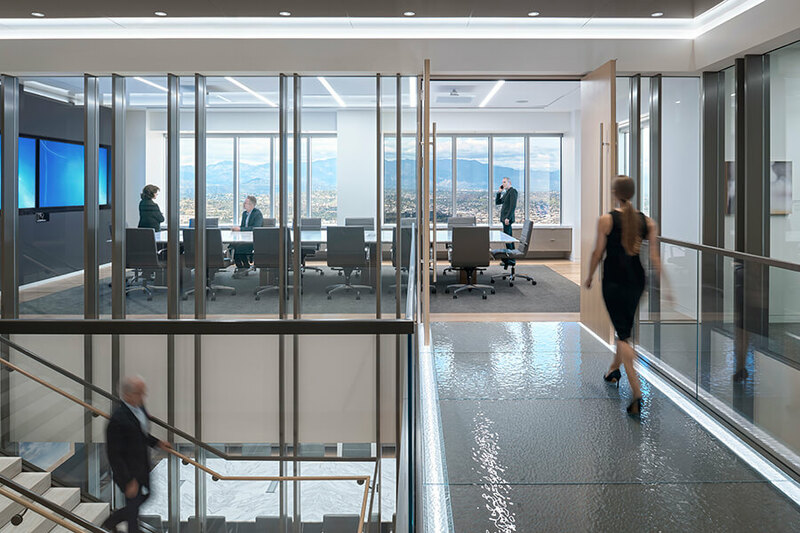 Special care was taken to reclad an existing interconnecting stair with glass and replace steel beams necessary for technological improvements.